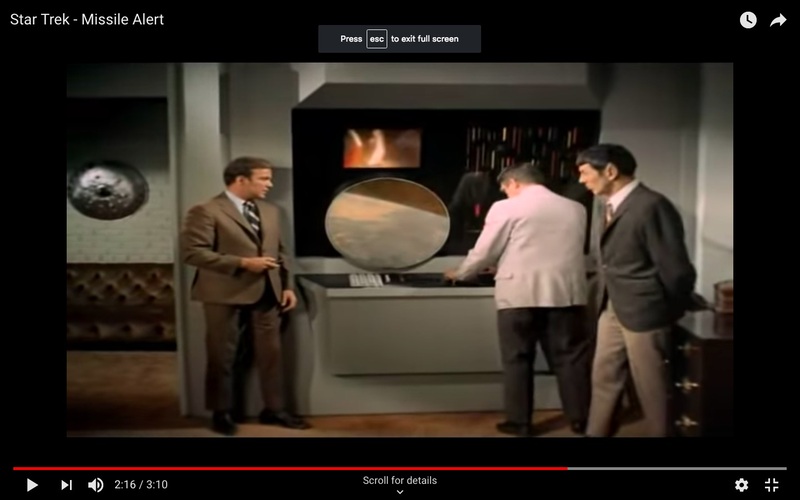 Star Trek TOS has (at least) two computers with round screens, the M5 and the Beta 5 described below. This is an out-of-universe question on the design of the props. Both remind me of the early PDP computers shown in this question but I don't know if it is just a coincidence (round CRTs were more common then perhaps?) or if inspiration was really drawn from real computers of the time. Is there any information on this, or perhaps on the people who designed the computers for the sets of these episodes? I'm also interested if there is any information on the artistic design of the moving/drifting wavy lines, projected onto the round screen of M5 and in the upper rectangular screen of the Beta 5, and the rectangular displays with fixed, thin rectilinear color lines. I could ask that separately if someone expresses an interest in answering separately. In the TOS episode The Ultimate Computer the famous scientist Dr. Richard Daystrom (namesake of the Daystron Institude) has a mental breakdown after the M5, closely modeled after Daystrom's own mind, had committed what Daystrom felt to be murder by intentionally destroying a Starfleet ship as part of an exercise gone wrong. At the end, Daystrom needed to be taken to "a total rehabilitation facility". ...was a sophisticated computer built by unknown aliens from a hidden planet located more than 1,000 light years from Earth. It was installed in 1968 at 811 East 68th Street, Apartment 12-B in New York City, which was occupied by pseudo-secret agent Gary Seven. 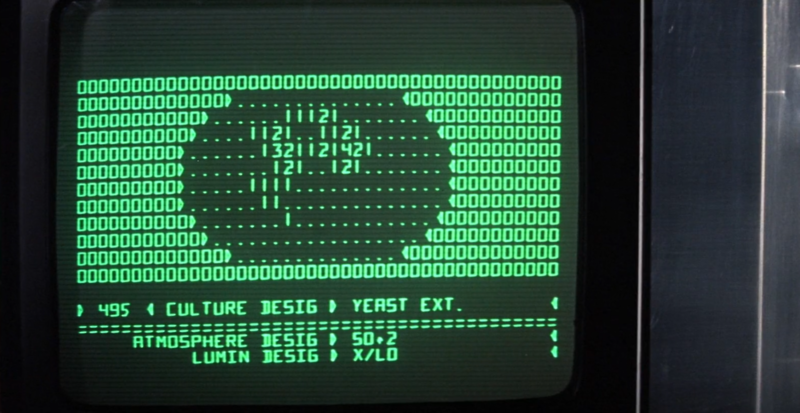 What inspired the circular computer screens? This I can answer with some small degree of first hand knowledge. For this, you need to know a little about computer and electronics history. A CRT is a Cathode Ray Tube. It works by sending a stream of electrons out, interrupted for ‘off’ pixels on the display. The radiation is directed by pairs of electromagnets, one pair to deflect the beam horizontally, and one pair to deflect the beam vertically. You can read more over at howstuffworks.com. The design was rather primitive, and a round screen was very much easier both to manufacture and to program for the bounds of the beam. Google finds pics of vintage TVs easily. The edges are rounded, not because of the signal encoding (the TV signal has always been for a rectangular image, IIRC), but because the image at the corners was either missing (cropped due to the bounds on the beam) or not very well defined (and hence fuzzy, and fuzzy is bad marketing). Now, the idea of round displays was not new even with Star Trek. 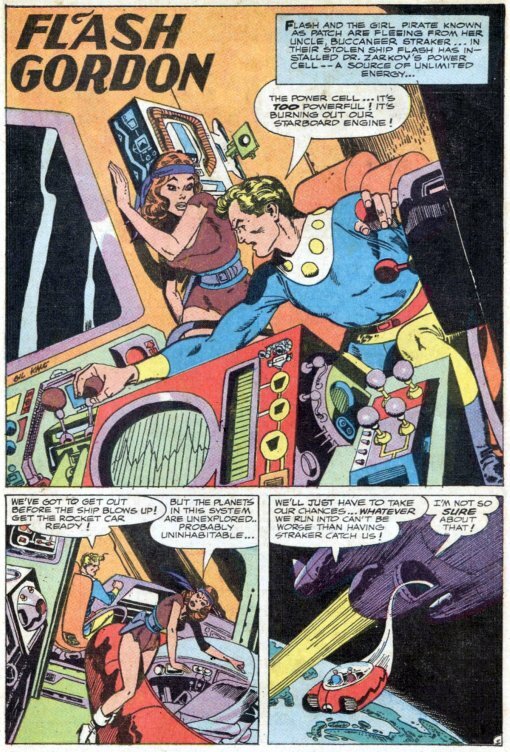 You can see round display screens in older sci-fi like Flash Gordon. Here’s a pic I found of an old FG comic featuring a round view screen. Looks a lot like an oscilloscope, doesn’t it? Round displays even featured in TV episodes along with the bleach-bottle ray guns. During the late 40s and through the 50s, when people thought of hi-tech stuff, they thought of these cool devices that showed a picture. They thought of early televisions, which in the 60s still were new, high-tech stuff operated by nerdy science-y people. Even today round is sleek and high-tech. I bet you can easily find many sci-fi movies featuring pretty, round/curved, holographic/see-through/awesome futuristic displays, with no square corners, all on your own. Simply, money. Oh, and corporate aesthetics. Psychadelic, cool stuff doesn't look like the text-graphics computer displays in the Andromeda Strain. .
Star Trek (TOS) was shot on an exceedingly tight budget given what they were doing. Masking part of an image to place another above it was a time-consuming technique. Doing things like lining up a spaceship against a planet was an expensive task. Why spend time and money to display something that we would consider ‘real’ that had no effect on the plot? It was much easier to simply put up a pretty color wash that got perfectly cropped by the masking. Even if Spock had to look into the display and ‘read’ something, it wasn't too far-fetched. A lot of old optical equipment could only properly display things to people directly in front of it. Those in the audience’s position would not see anything more than colored light. I suppose that on Star Trek the displays were just more advanced so you got a lot of colors. That or it was a screensaver, LOL. Not the answer you're looking for? Browse other questions tagged star-trek star-trek-tos computers design . 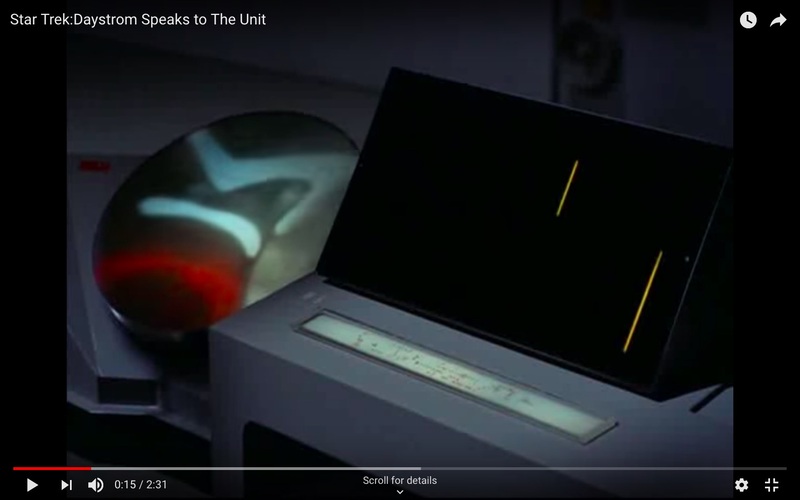 Does the computer-system on the Enterprise NCC-1701-D still follow the basic architecture of a Turing Machine? How was the teleporter effect on Star Trek: TOS achieved?